How Much Alcohol Should Be Served at a Wedding? 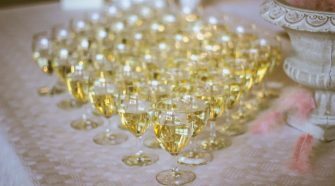 Readers Ask: How much alcohol should be served at a wedding? There are several rules of thumb to follow and some can be a bit tricky, especially if you’re on a particular budget. 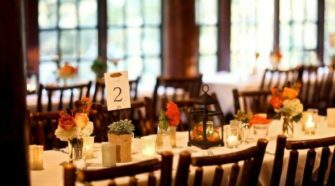 You’ll never want to run out of drinks throughout the reception, but creating a free-flowing atmosphere can punch up the price tag on the event in significant amounts. 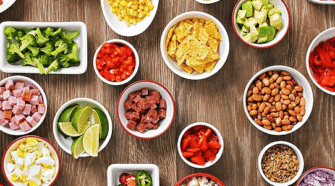 When deciding on how much alcohol to become prepared with depends on a few other details outside of how much money you want to spend. The most important piece of the planning puzzle lies within the guest list. How many guests do you plan on having? That’s the best place to start. A good guide to follow is to allow each guest two drinks – one at cocktail hour and one at the reception. Of course, you can provide more or less leeway depending on your comfort level as well. Take into consideration the time of day too. Evening weddings call for more cocktails than a brunch time affair. Then think about your vision and the type of atmosphere you’d like to create – which will help you decide on what type of bars and drinks to serve up. Check out some ideas below to see which “bar” option fits your vision and budget! 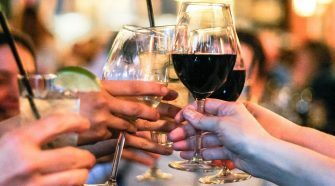 An open bar includes drinks that have been prepaid by the host – or plan to be paid after the event is over and the amount of alcohol consumed has been calculated. Open bars are perfect for those that have more leeway with their budget and want to create a fun, party atmosphere. If you’re looking to conjure up the best celebration of the year, then adding an open bar to the mix will be a great addition to that vision. You can have some control over what’s served though. Make it beer and wine only – or just serve an unlimited amount of signature cocktails. The basic premise is that guests don’t have to pay for their drinks, so map it out whatever way makes you feel comfortable. A cash bar is the opposite of an open bar, where the guests pay for their own drinks. 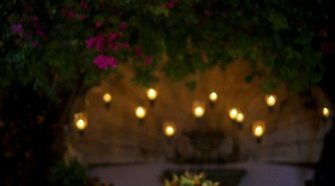 This keeps the budget in a better zone for the bride and groom but preferences easily accessible to everyone at the celebration as well. This is another way to limit guests’ alcohol intake too. Everyone is more apt to stay within a responsible range when they’re forced to pay for their own drinks. It’s okay to just keep within your own recipes! Signature drinks are expected at a wedding, and it’s completely alright to just serve up those picks instead of everything else that a bar includes. Whether you create an open bar of signature drinks only or make sure there’s enough for everyone to indulge in two, that’s completely up to you, your vision, and your budget. 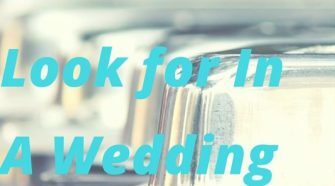 “The amount of alcohol to buy for your wedding will greatly depend on the time of day your reception will be held, the amount of people at your reception, the type of alcohol they are likely to drink, and whether your guests are heavy or light drinkers. Ultimately you are the one that knows your friends and family best. If your guests are heavy drinkers, than increase the amount of alcohol you are purchasing. More n/a drinkers? Increase your soda and water count. However, at most weddings the crowd will vary widely. As a result, your alcohol choices will need to vary widely as well. Use this general guide on liquor numbers to help you when determining how much to purchase for your wedding. 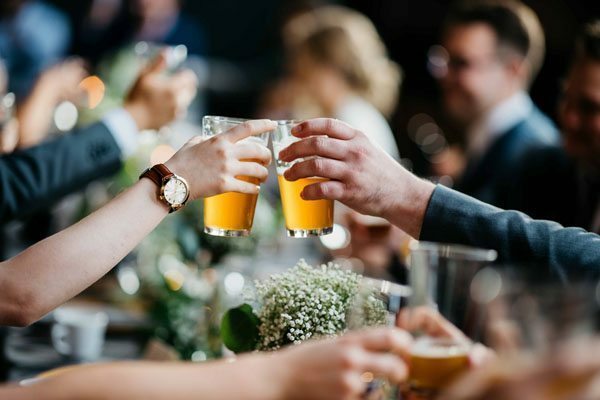 “Be sure to bug your wedding guests about the RSVP on your invitations, so you can make a nearly accurate guess for your wedding alcohol requirement. 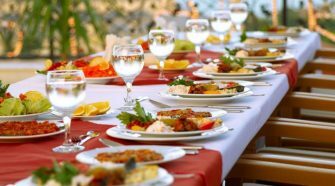 Getting an accurate number of guests who will attend the wedding will also be easier for your dinnerware and glassware rental. One way to do this is to think about the people you have invited, and then create a ratio of the invited guests to the amount of alcohol you will buy. If this is for the reception, champagne for every single person at the wedding is a must for the toast. Aside from that, think about who would like popular drinks like wine, liquor, and beers. That should cover the minimum needs at a wedding reception to appease all the guests. If you would like to be accurate, do a survey. You can call up your friends and family and ask about what they would prefer, or even hand out a simple electronic survey that they can easily answer online. This is a bit different and may actually take more time, but if you’re really prudent, then this method is helpful. Of course, people will drink whatever they like on the day of the reception, so you have to be ready for that as well. Each guest usually gets one serving each hour; now you could calculate how much alcohol you need based on the time of your reception. Use one of the wedding alcohol calculator recommended below to make things much easier. 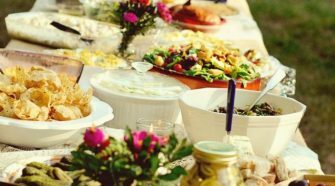 Q: Why Is Wedding Catering So Much More Expensive Than Similar-Quality Restaurant Fare? 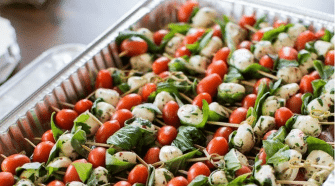 Q: What Should I Look For In A Wedding Caterer? Can I Cater My Own Wedding?